In my work at IMEX Sourcing Services, I regularly work with a lot of new importers, especially new e-commerce sellers selling through the Amazon or eBay platforms. Most importers, when first starting out are very excited & charged up about the new venture & want to get things moving as quickly as possible. When first importing from China or from any other country for that matter, there is a steep learning curve & it normally takes 2-3 shipments for an importer to understand the process flow & all the terminology & acronyms involved in International trade. With limited understanding of the import processes & that of the working style of Chinese factories, comes increased risk, especially quality risk as well as the increased likelihood of incurring losses on the first import from China due to getting the numbers wrong. 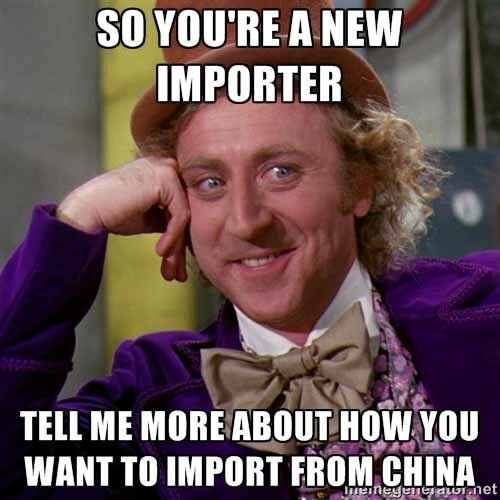 Here I look at 5 common mistakes, I often see with new importers first starting out of China. I hope through this blog I can share lessons learnt & insights gained during my time, first as an Importer importing from China & India to the UK & then living in China for several years working with factories across industries & product types as well as with different types of clients from founders of innovative new gadgets to large importers. Attending the 124th Canton Fair? IMEX Sourcing Services is Featured in Grand Designs Australia S7 Show! We’re Waiting for You at the Global Sources Trade Show! Experiencing Production delays from your Chinese Suppliers? See You at the Global Sources Summit!